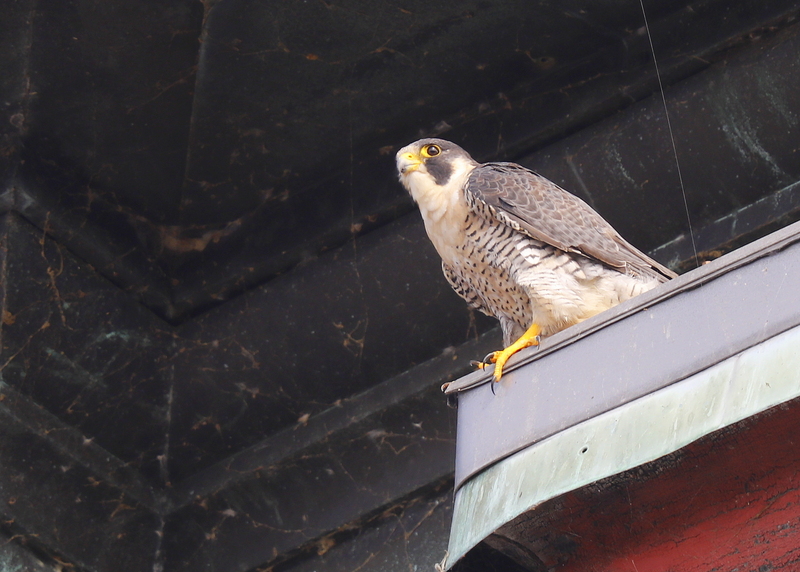 Made a stop by the Clock Tower just before 10AM, under clear skies, bright sun, winds from the west at 8MPH, and temp at 86F, to look for any peregrine activity. 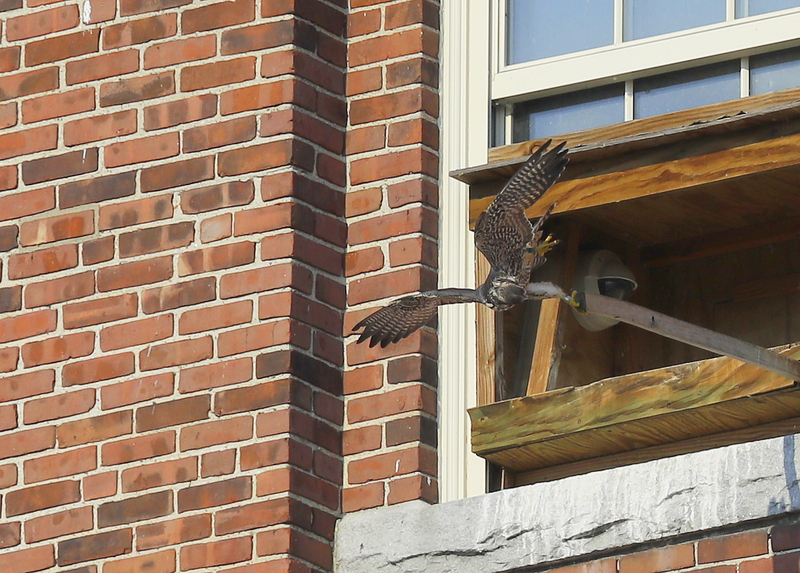 The adult male was observed on the south side of the New Balance building along Merrimack Street. Initially, the male was perched along the roof line, and then it flew around to a number of perches and then flew around towards the nest box. 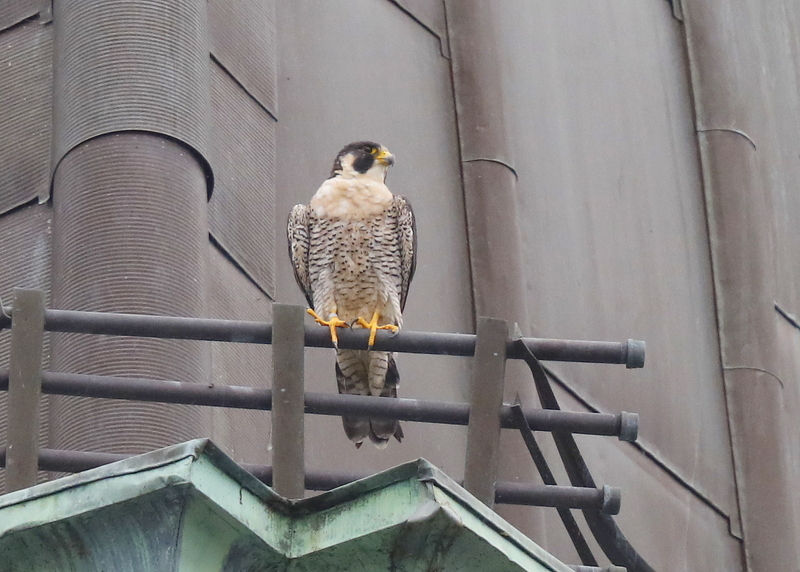 The female was spotted along the the same south side roof line. She was very bust consuming a snack and feathers were flying all around. Had a nice view as she was finishing off the pink legs of her fresh catch. Nice to see both adults in close proximity! 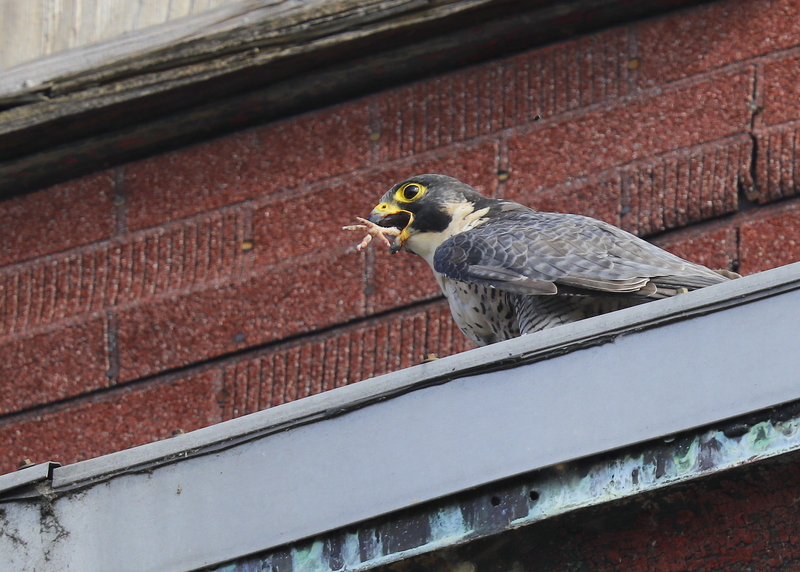 Lawrence Peregrines: one juvenile and two adults! What a nice surprise to see one of the 2018 hatch year fledglings around the Clock Tower late this afternoon. It was another steamy hot day with clear skies, light winds, and temp well over 90F. 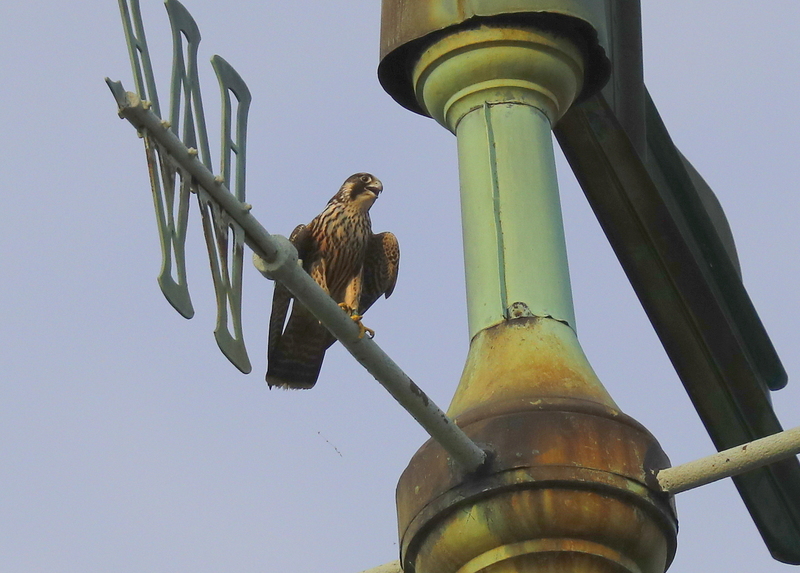 Just happened to catch a glimpse of a peregrine and upon a close look, it was one of the this year’s youngsters perched on the west side pole of the weathervane. The left leg band was visible but just out of reach for a positive identification. 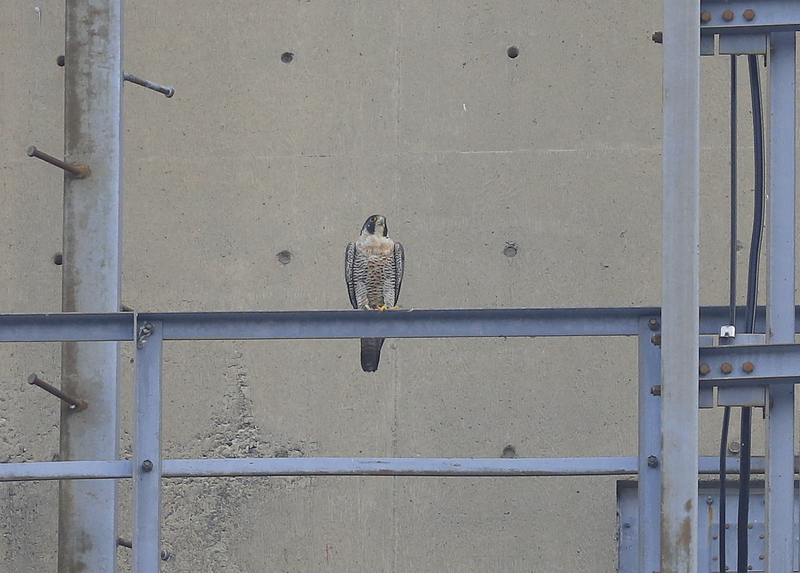 One the adults was seen on the SE corner of the lower roof, and the other was perched high atop the Verizon Cell Tower over the Merrimack River! 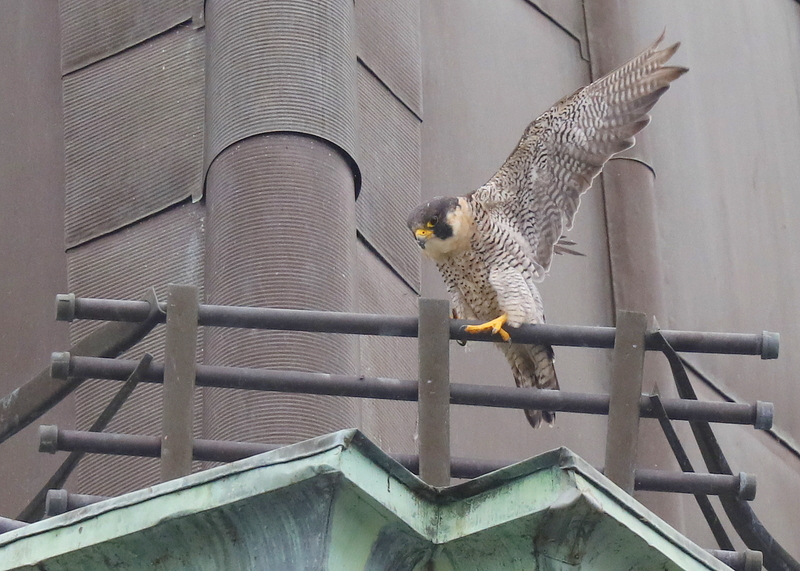 Made a pass by the Clock Tower yesterday afternoon on the lookout for some of the peregrine falcons. One of the adults was perched on one of the granite ledges on the NW corner. It departed in flight for a few moments, and then returned and landed onto the metal grates on the SW corner of the upper roof. After a few adjustments, and a bit of wing flapping to maintain balance, the male adult, turned around and faced in outward direction. The movement provided clear looks at legs and banding, and from that, an ability to see clearly that it was the adult male. The female has been seen from time to time, but the youngsters have not been around these past few weeks, and may have dispersed early. 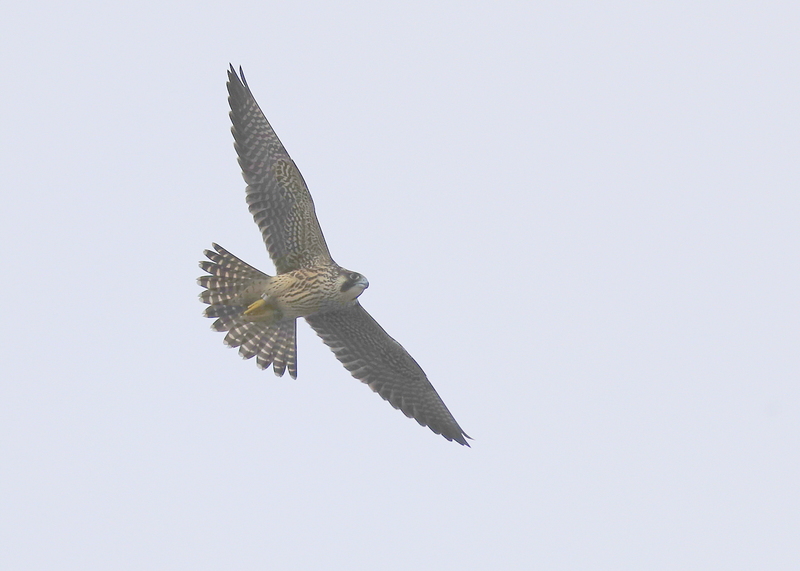 Will provide an update next few days on research on the varied dispersal patterns of fledglings!